Edward “Eddie” Arden Meyer, age 81, of Brandon, WI, passed away peacefully on Friday, November 9, 2018, at his daughter’s home with family by his side. Eddie was born July 21, 1937, in Sheboygan County, WI, the son of Arnold and Agnes (Gumtow) Meyer. 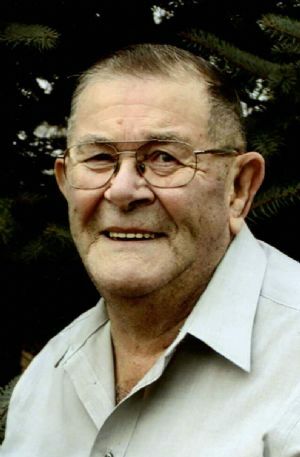 He attended school in Cascade, Sheboygan Falls and Beechwood and then made a home with his special aunt and uncle, Herb and Dena Meyer in the Berlin area. In 1958, Eddie married Mary Ann Hare at Emanuel Lutheran Church in Brandon, where Eddie was a member and also ushered. He worked at the Neenah Foundry, Equity Stock Yard and farmed in Ripon. Eddie was also a member of the Farm Bureau. Survivors include his son, Jack (Karen) Meyer of Riverside, CA; three daughters, Jill (Bob) Jahn of Green Lake, WI, Joan (Roger) Emerson of Rush Lake, WI and Joyce Schmidt of Brandon, WI; ten grandchildren, Ashley (Joe), Jason (Stephanie), Christopher (Ann), Patrick (Ariel), Chad (Catie), Curt (Jamie), Mallory (Eric), Zachery (Alyssa), Joshua, and Nicole; 18 great-grandchildren; three sisters, Dolores Tracy, Arlene Lind and Donna Mae Cotter; sister-in-law, Betty Meyer; brother-in-law, Jerry Reiss and several nieces and nephews. Eddie was preceded in death by his parents, Arnold and Agnes; wife, Mary Ann; son, James Edward Meyer; three sisters, Ione Fritz, Dorothy Tenpas and Doris Reiss; two brothers, Donny and Eugene Meyer; special aunt and uncle, Herb and Dena Meyer; special cousin, Judy Trochinski; son-in-law, Clarence Pycha; sister-in-law, Donna Mae Meyer and brothers-in-law, Norman Fritz, Elmer “Fuzzy” Tenpas, Junior “Shorty” Lind, Joe Tracy and Russell Cotter. Visitation for Edward will be held on Tuesday, November 13, 2018, from 9 – 11:00 am at Emanuel Lutheran Church, 107 S. Prairie St., Brandon, WI 53919. Funeral Service for Edward will be held on Tuesday, November 13, 2018, at 11:00 am at Emanuel Lutheran Church with Pastor Bob Rosenberg officiating. Interment will take place at Mackford Union Prairie Cemetery in the Town of Mackford, WI. A memorial is being established in his name.